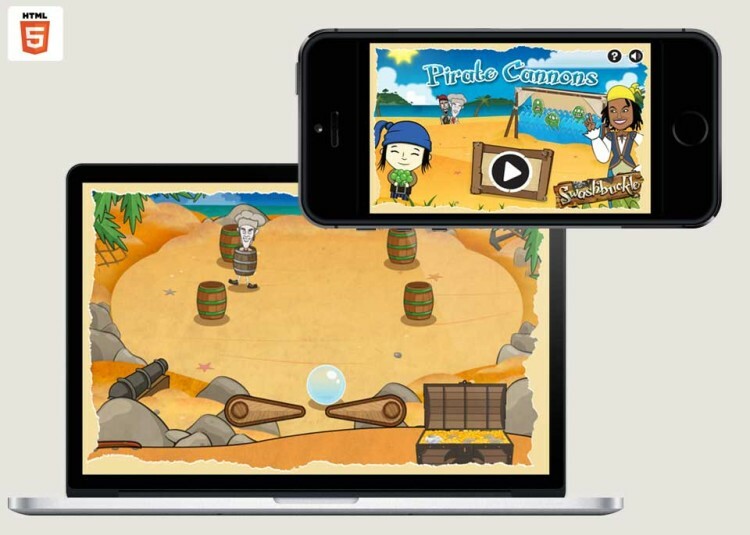 Working closely with Oil Productions Ltd, Playerthree created four unique genetically inspired flash games for the Routes Game project. 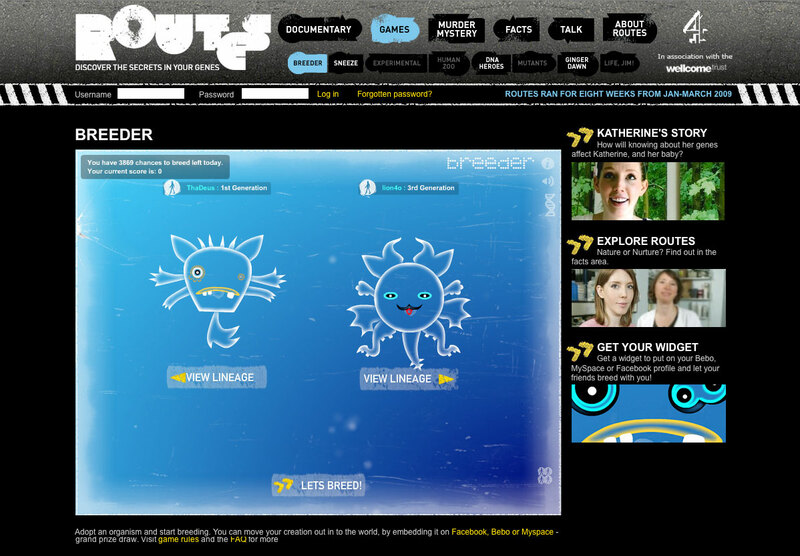 The project was funded by Channel 4 and the Wellcome trust and Routesgame.com won a BIMA for Best Content, a Prix Jeunesse, a Broadcast Digital Award, the IVCA Grand Prix and was BAFTA and MEGA nominated. Breeder, in which you could create your own organism and then seek out other players organism in order to breed in features that you desired. You were set a target organism to ‘evolve’ into through breeding cycles and could see the different outcomes and choose with breeding path you wanted to take. 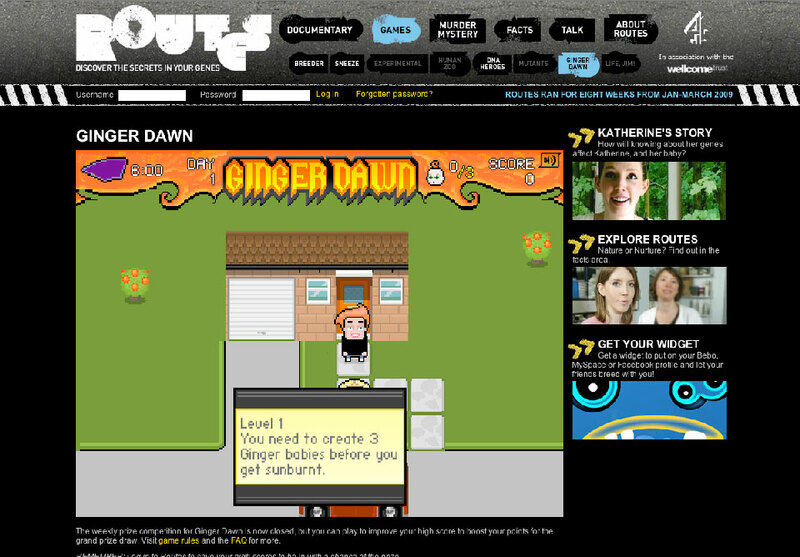 Ginger Dawn, in which you were given the role of procreating as many red heads as possible, but required a good understanding of the probability of the recessive ginger gene kicking in to produce ginger haired offspring. As levels got harder, red-headed people became more scarce but if you know your facts, you could pick the most likely people to breed with. 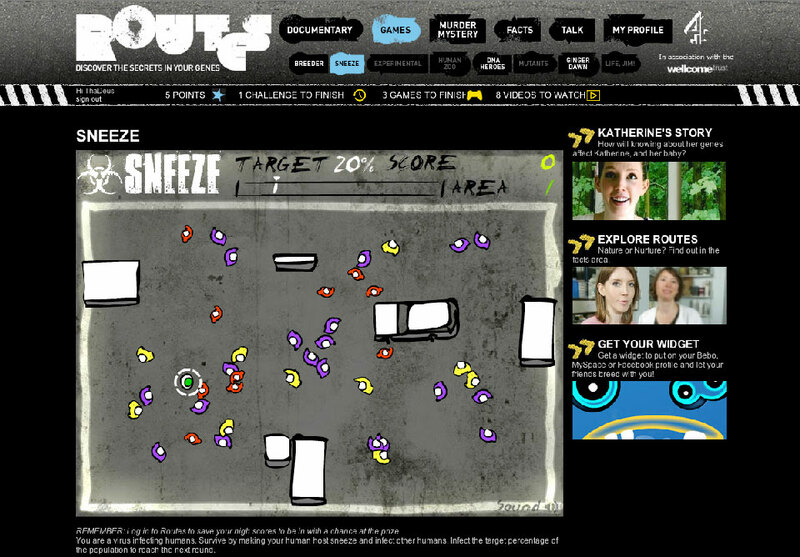 Sneeze, possibly the most popular game due to it’s short fast repeat play, but also it was chosen as the game to seed to various flash game sites. Miniclip licensed the game to huge success and coincidentally leveraged a spread of worrying news about the H1N1 virus. In the game you have to infect as many people as possible with a chain reaction sneeze in different settings and environments. 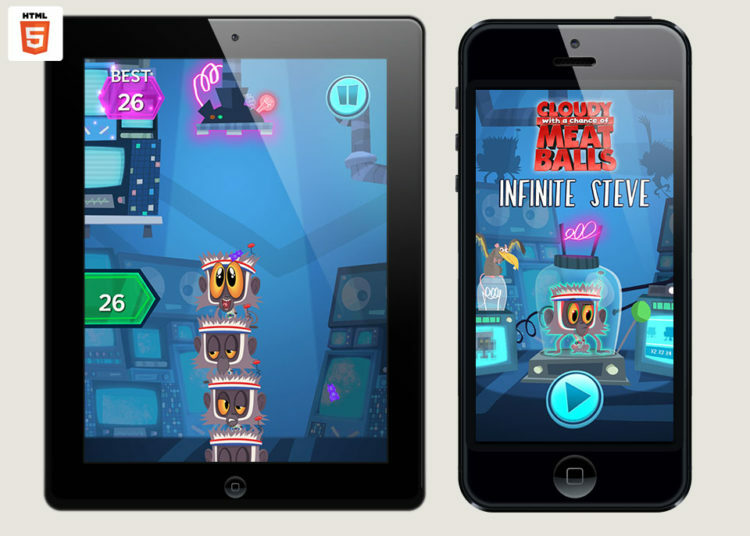 DNA Heroes, this was a reskin of an existing ‘Guitar Hero’ style game engine that we had created before. We remixed the gameplay to join up DNA strand combinations and play through levels as eminent genetic scientists of our age.